In this case study, a newly appointed medical examiner uncovers an unusual trend in drowning cases, which she suspects may be the work of a serial murderer. To prove that she is right, she must rely on instrumentation designed and tested by a team of students from the local university. Students read the case, then design and build a device for the detection of blood stains. 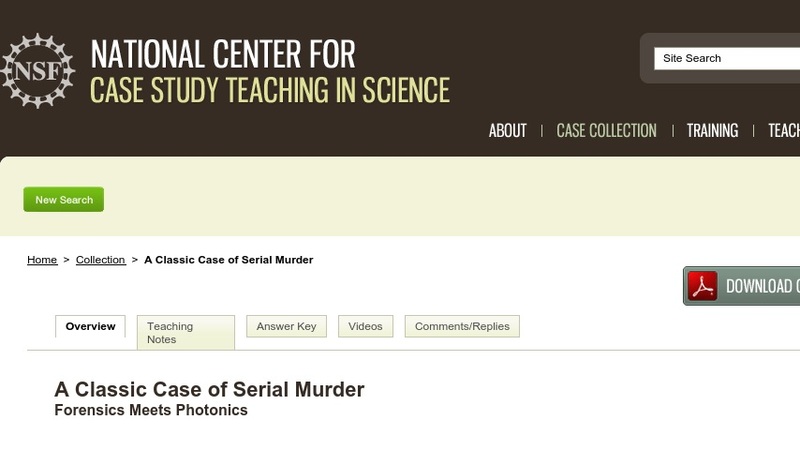 The case was developed for use in an undergraduate laboratory course sequence in photonics for junior and senior level students. It would be suitable for any undergraduate course in physics, chemistry, or electrical engi eering that covers topics in optics, photonics, or spectroscopy.